Our 2018 conference has just concluded, and it was a spectacular success! Next year we'll be in Salt Lake City, June 6-9, 2019. 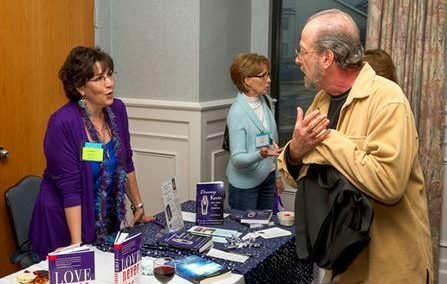 Since 2011, The Afterlife Conference has served as an educational, social and spiritual gathering place for those seeking evidence of life after death. While other conferences have followed our lead over the years, we maintain the distinction of being the original Afterlife Conference. 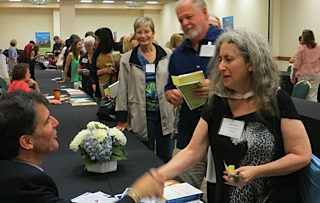 Each year we unite the disciplines in exploring the survival of consciousness after death, working with hospice professionals, physicians, mediums, clergy, counselors and alternative healers to offer a deeper understanding of death and beyond. More of everything for 2018! Mystic, scholar, theologian and visionary Andrew Harvey has taught at Oxford University, Cornell University, The California Institute of Integral Studies and the University of Creation Spirituality, as well as various spiritual centers throughout the world. His keynote address -- and the in-depth workshop he'll be facilitating -- focuses on Sacred Activism... a way of being in the world that allows us to honor the holy nature of all experience, including death, loss and grief. In his keynote address, he will speak about how our losses -- whether personal or planetary -- invite us into a deeper connection with the divine. Andrew was the subject of the 1993 BBC film documentary The Making of a Modern Mystic and appears also in Rumi Turning Ecstatic and The Consciousness of the Christ: Reclaiming Jesus for A New Humanity. Dr. Kerr was a big hit at last year's conference, and we're delighted that he's agreed to come back for 2018. He is the chief medical officer for The Center for Hospice and Palliative Care in Buffalo, NY, and entered the world stage via his extraordinary 2015 TED talk. His stunning research on the deathbed dreams and visions of hospice patients has triggered a much-needed new conversation within the medical establishment, and his presentation at the conference -- Deathbed Visions: Implications for Caring for the Dying and Their Loved Ones -- will be of interest to professionals, caregivers and spiritual seekers. Watch this trailer for a new documentary based on Dr. Kerr's extraordinary work. PLEASE NOTE: All our featured speakers are offering 75-minute presentations that are included with general admission to the conference. Those marked with an asterisk (*) are also offering separately-priced in-depth workshops. 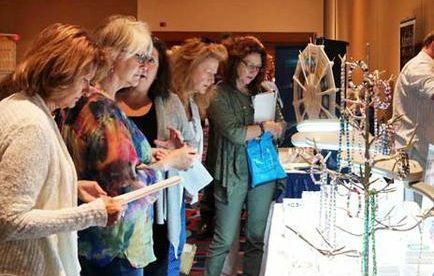 In these workshops, you will learn about mystical practices for working with grief, spiritual self-care, meditation techniques, shamanic tools, multi-cultural understandings of what happens when die, instruction in after-death communication, and much more. William Buhlman * William's workshops for The Monroe Institute on out-of-body journeying are filled to capacity, and we are delighted to have him offering hands-on instruction In how to explore non-physical realities beyond the physical body. He will be giving a general lecture and also teaching an in-depth workshop in which participants will learn proven techniques for out-of-body travel. Click HERE for workshop details. Thomas John * is a world-renowned medium and a gifted teacher who brings astonishing evidential messages from the other side and also offers instruction in developing the intuitive mind. 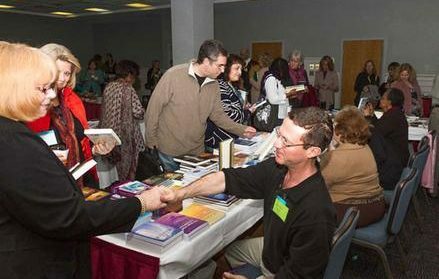 Thomas will be very busy at the conference this year, offering a general lecture, a workshop on advance mediumship skills, a gallery-style audience reading, and a small-group spirit circle. Click HERE for details on his advanced mediumship workshop. Suzane Northrop * is an internationally-acclaimed medium who has helped thousands bridge the gap between this world and the next. Her media credits include the HBO documentary Life After Life and the Emmy-nominated series The Afterlife with Suzane Northrop. She is offering an in-depth workshop on beginning mediumship skills, private readings and a small group session. Click HERE for information on her workshop. Suzanne Giesemann * Bereavement is transformed by the awareness that those who have passed are still active participants in our lives. Suzanne is an evidence-based medium who, in addition to a general presentation, will also be teaching a workshop called "From Bereaved to Relieved," which offers a fresh perspective on creating a positive “new normal” after the passing of a loved one. Click HERE for workshop details. Austyn Wells * is a spiritual medium who combines her certification in grief counseling with her skills in shamanism and energy medicine. In addition to a presentation on The Day of The Dead, she is also offering private readings, a small group session, and an in-depth workshop on Soul-Centered Grieving. Click HERE for workshop details. Linda Fitch * is a practicing shaman who has trained hundreds of students in Peruvian indigenous healing practices. She will be teaching shamanic practices for exploring non-physical dimensions, and offering a workshop on navigating the shamanic dream world, with a special focus on dream travel and interpretation. Click HERE for workshop details. 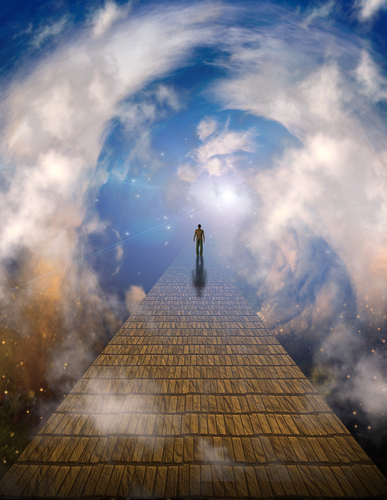 Dr. Linda Backman * is a psychologist and past life regression expert who guides individuals in soul regression to access their past and between lives. She will be offering private sessions and an in-depth regression workshop. Dr. Janet Piedilato * is a psychologist who has spent a lifetime studying visionary shamanic experiences. She was the first woman practitioner to present shamanic ritual at Harvard Divinity School, and be will sharing her wisdom in a workshop on the Egyptian afterlife. This is a return engagement for Thomas at the afterlife conference. His gallery-style readings in 2016 astonished everyone, and we are delighted to have him this year. 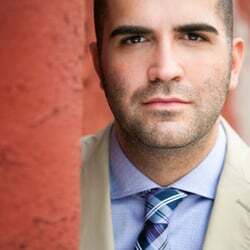 Thomas is has wowed audiences across the world with his impressively accurate messages from ‘the other side, and he is one of the nation’s most in-demand psychic mediums. 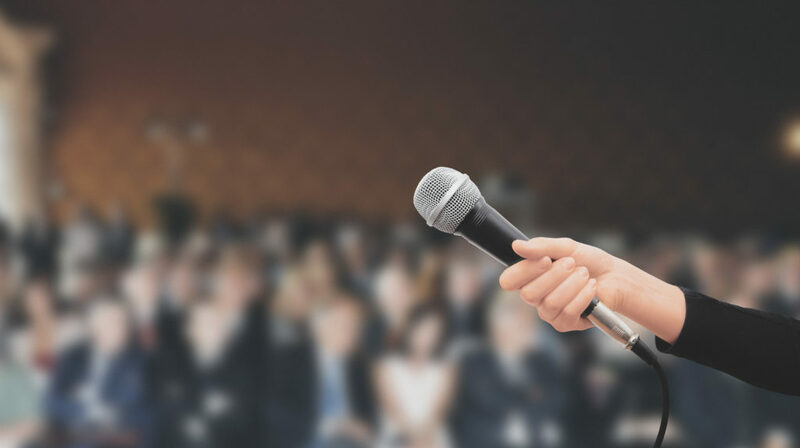 In addition to the audience readings on Sunday, he is also offering a pre-conference workshop on advanced mediumship, a small-group spirit circle, and private readings by appointment. Watch this extraordinary video of Thomas providing his amazing readings. In addition to the breakout sessions offered by the workshop presenters described above, the following teachers will also be sharing their wisdom about end-of-life care, bereavement, death awareness and what happens after we die. Dr. Monica Williams is an emergency physician and author of It's Ok to Die. Her talk addresses how Spiritually Transformative Experiences (STEs) expand our spiritual awareness, and how one doctor's STE pushed the boundaries of the American healthcare system to transform its end-of-life practices. Amy Glenn is a hospital chaplain, Kripalu yoga teacher and founder of The Institute for the Study of Birth, Breath, and Death. Her presentation, How to Talk to Children About Death will explore how to balance our desire to protect little ones from fear while also taking an honest approach to the topic of death. Robert Kopecky shares profound perspectives based on his three near-death experiences, and explores different types of NDEs and their meanings, including an examination of presence learned in a life review, and lessons from timeless wisdom texts. Brant Huddleston, our conference emcee for the past four years, takes the stage this year as a presenter, discussing his 30-year journey through evangelical Christianity to a new idea of the divine that does not include hell, judgment or a patriarchal image of God. Diane Ross is a certified past-life regressionist who has practiced hypnosis and NLP (neurolinguistic programming) since 1997. She will offer a guided group regression in which participants will visit a previous incarnation, and also visit the "Place of Review" in between lifetimes. Rev. Temple Hayes is an ordained Unity minister and Shamanic practitioner who will address the inconsistencies of traditional religiosity that make us afraid of dying rather than embracing this essential part of our life pattern. Pep Torres is a mystic in the Aztec, Toltec, and Mayan traditions who visited the Shamanic afterlife in a near-death experience. He will share this experience, and also assist attendees to create a "Day of the Dead" altar. Ann Clark, PhD, RN is director of research for the prestigious Newton Institute. and has a quarterly research column in institute's online journal. She will be presenting the Newton Institute's current research on Life Between Lives. 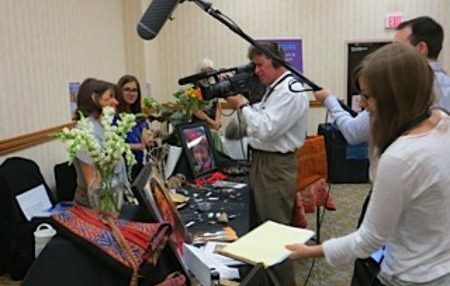 Roberta Moore is a videographer specializing in documenting near-death experiences. She will screen the 30-minute film Near-Death Experiences: What Medical Professionals Need to Know, followed by a discussion. Dr. Diane Dobry studies death in popular culture and how mass media serves as a source for informal death education. Her talk, Death Goes to the Movies, explores how films have portrayed various aspects of death, dying and the afterlife. Each year we kick off the conference with a question-and-answer session with our speakers. This gives you chance to get to know their work and choose which presentations you want to attend over the weekend . Another conference favorite, this panel explores death practices and views of the afterlife from a variety of cultural and religious perspectives throughout world history. Panelists include Mark Mirabello PhD and Rev. Terri Daniel. This is one of our most popular presentations, and is especially relevant to end-of-life professionals, chaplains, caregivers and clinicians of all kinds. 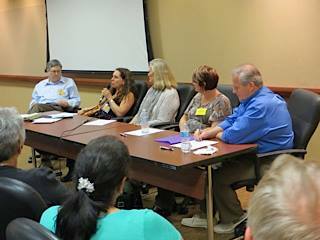 This year’s panel includes hospice experts Dr. Monica Williams Murphy and Dr. Christopher Kerr, who will explore how to bring inclusive spirituality and mindfulness into private practice, ICU, ER, nursing home and in-patient hospice environments. 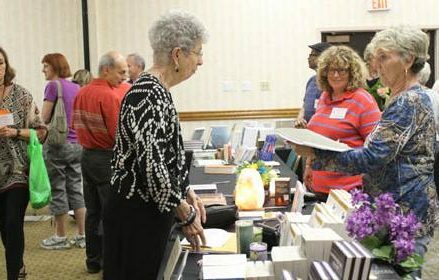 Sell Your Wares at the Afterlife Conference! Books, Jewelry, Clothing, Art, Music & more! To learn more about evidence of life after death, join our community! Help us promote the conference and earn great perks and benefits! based on the personal experiences and research of the presenters. It is not intended to serve as a substitute for grief counseling or any other form of therapy. Check out our special rate for groups of 2 or more... save $100 on general admission to the conference!